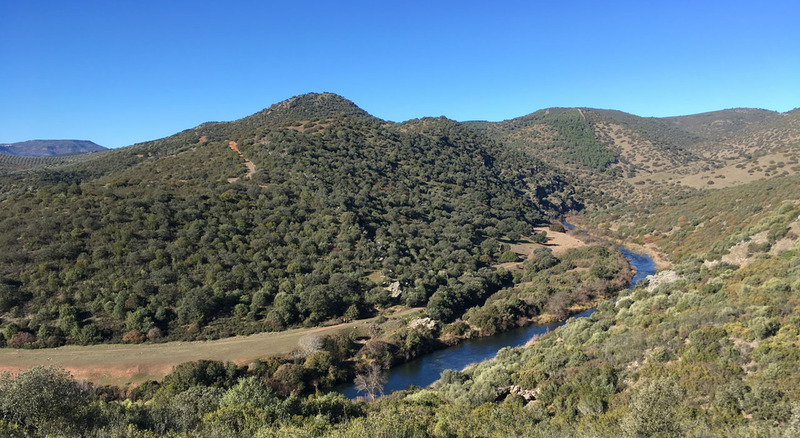 The monteria is one of the most traditional hunts in Spain. On this, hunters are distributed along the terrain to hunt different species, while the dogs are beating the field leading them to the hunters. Depending on the hunting area and budgets, you can hunt bigger or smaller red deers, fallow deers, mouflons and wild boars. We work closely to different hunting areas, bigger or smaller, suitable for higher or lower number of guns. In this way, our company offer them on demand, but totally customized. 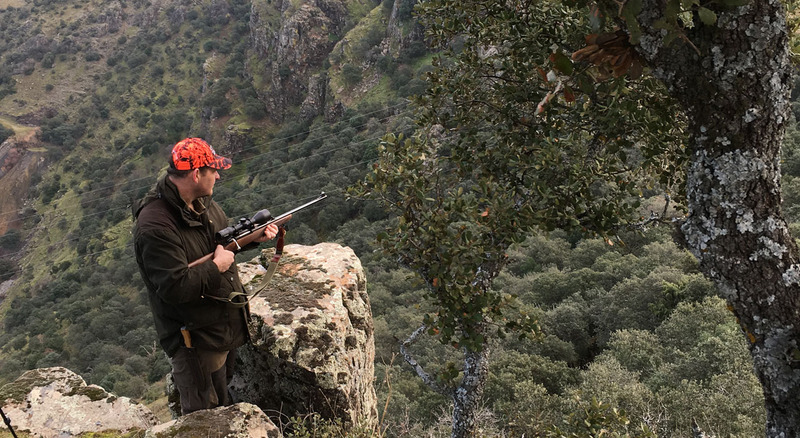 Then, if you are interested in hunting in a monteria in Spain, do not hesitate to contact us specifying the characteristics of your wished hunt and we will work on giving you a quotation for it. Quota: 2 red stags, 1 hind and unlimited wild boars. Result: 14 red stags, 38 wild boars and 5 hinds (expectation: 60 animals). 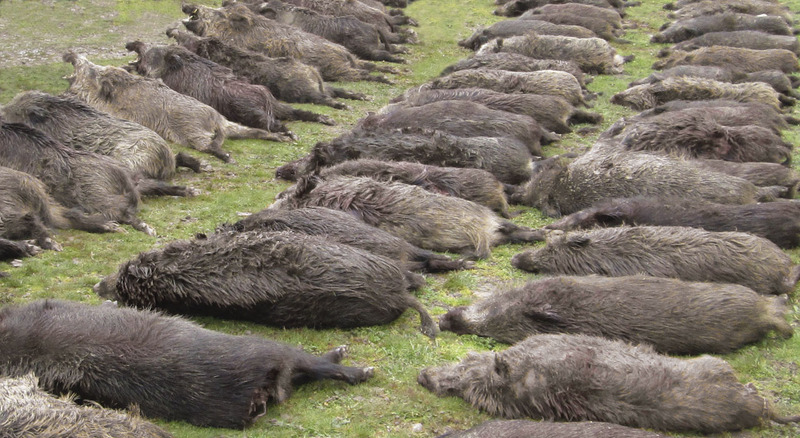 Unlimited hinds and wild boars. 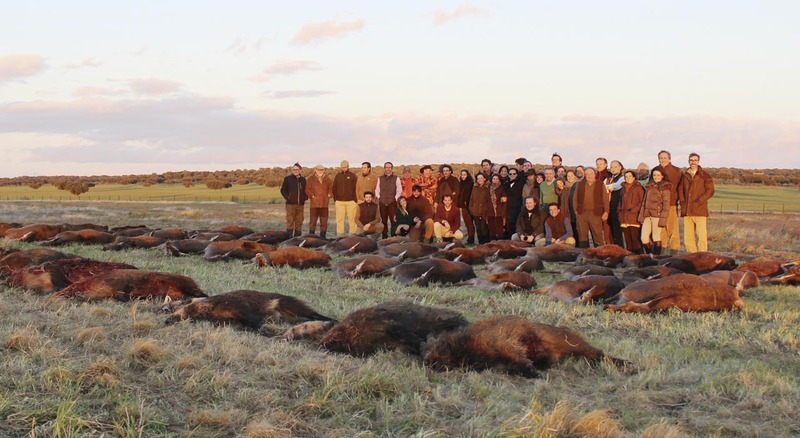 Result: 8 red stags, 31 wild boars and 82 hinds (expectation: +100 animals). 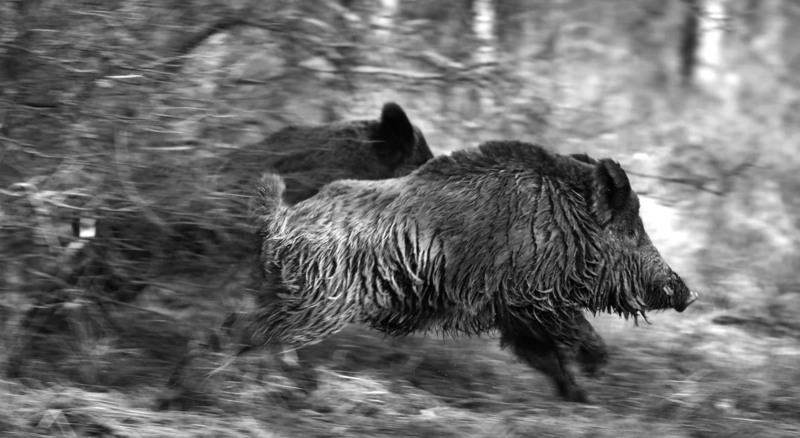 Unlimited red stags, hinds and wild boars. Quota: 4 red stags, unlimited hinds and wild boars. Results: 74 red stags, 62 wild boars and 141 hinds (expectation: +230 animals).